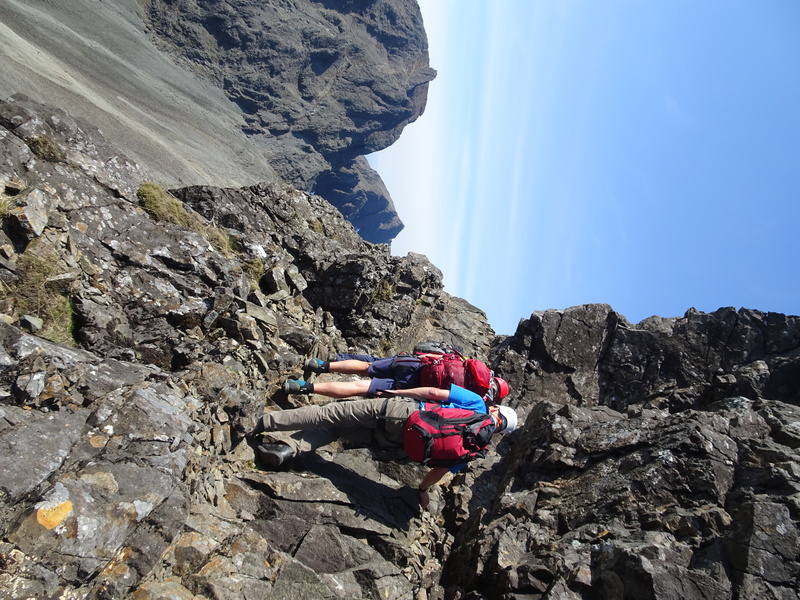 This time last week I had just completed a traverse of the Cuillin Ridge on the Isle of Skye. Having returned to ‘normality’ and processed some of the reactions I had during the 32 hours we were on the mountains, I thought I’d share a few thoughts on how this relates to my work. This was an expedition suggested by two of my school friends. 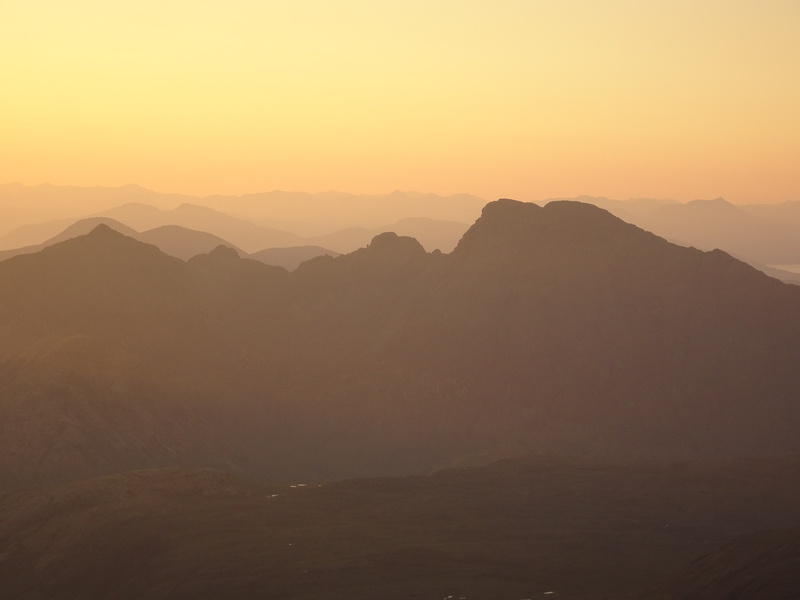 We all grew up on Skye and have walked together on the Cuillin many times since we were children. 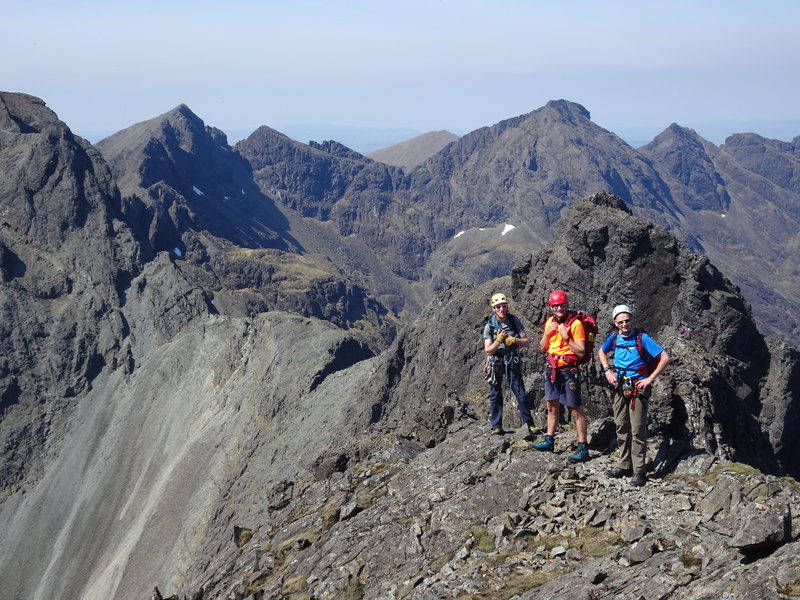 However, in spite of having ‘done’ all of the Munros (Scottish Mountains higher than 3000 feet high) in the Cuillin, none of us had traversed the whole ridge, and it was about time that we did! 1. Perspective – it’s always useful to look at the world from a slightly different angle. Looking from one direction some of the ascents we made seemed impossible, but when we got to the right starting point there was usually a visible route. Also, someone else’s perspective of your problem can point to a much simpler solution than you can see yourself. 3. Trust yourself – sometimes the worst thing you can do is overthink. It can lead to indecision and unnecessary mistakes. Other times, the right move wasn’t obvious until we had to make it. Ultimately, which choice we made wasn’t as important as having the conviction to make it work! 4. Will you achieve it alone? – appreciating when is the right time to ask for help can be as important as any other decision. We started by deciding we needed an experienced guide (the excellent Dave Fowler from Skye Guides). Climbing as a team of four meant we were constantly communicating with each other, and failing to do so would compromise the safety of the others, which led to smooth progress and none of us being too precious to ask for help, hints and tips. Similarly, many of my clients could have solved their problems more easily, and with less input from me, had they asked for help/advice sooner. 5. Achievement is addictive – confronting that feeling that you can’t overcome an obstacle only to regroup and overcome it is a wonderful feeling. I think all of us reached this point over different challenges, be it a challenging move part way through a climb, toiling due to the heat (a bizarre problem to face climbing in Scotland!) or fatigue due to long term ‘exposure’ (i.e. having precipitous drops on all sides), and had to draw on each other and on our internal resources. The same happens in life all the time, but it’s too easy to miss the achievement of having solved what, to someone else, may be a relatively simple problem. 6. Modern life can cause unforseen problems – climbing on gabro (the main rock that forms the Cuillin) causes some serious abrasion on your hands. My hands haven’t been so smooth and soft for years, but I haven’t been able to unlock my phone with my fingerprints since I came off the hill! 7. New possibilities – lastly, and importantly, there’s nothing like a once in a lifetime experience to make you want to do it all again!